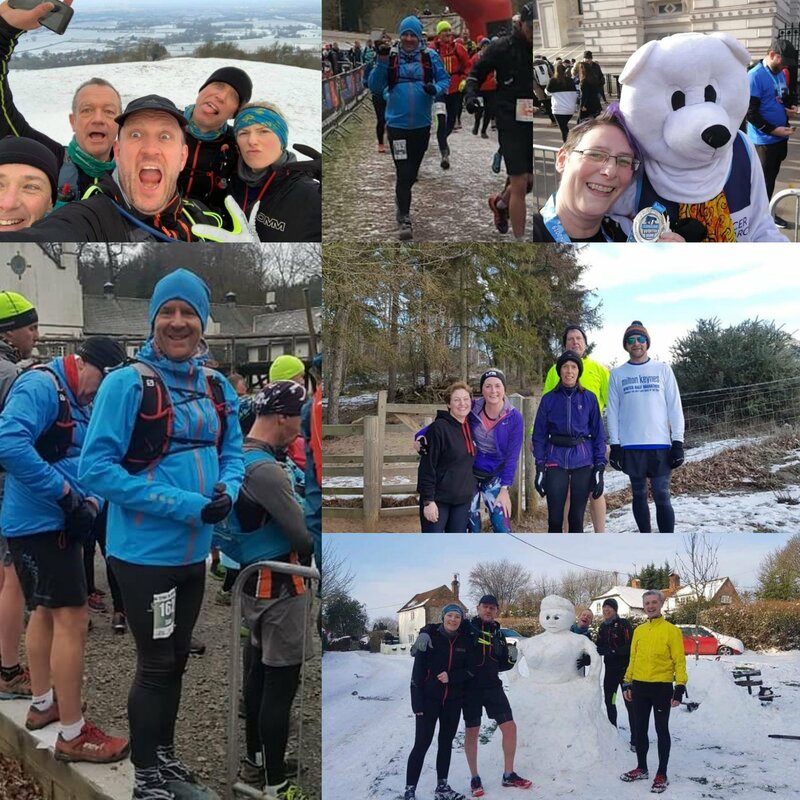 Leighton Fun Runners > Latest News > This is the week that was….snow! This is the week that was….snow! The small flurry of snow we had this week caused schools to be closed on Friday, our own Friday morning run was called off, parkruns everywhere on Saturday were cancelled, the Watford Half Marathon on Sunday was cancelled as was the club’s recce of the new 10K route. It was incredibly icy out there! This made for a very busy Rushmere parkrun on Saturday with many of the other local parkruns cancelled. A massive 41 LFRs made their way for their parkrun fix in the snow. Tough going, I hear, but beautiful around the trees. 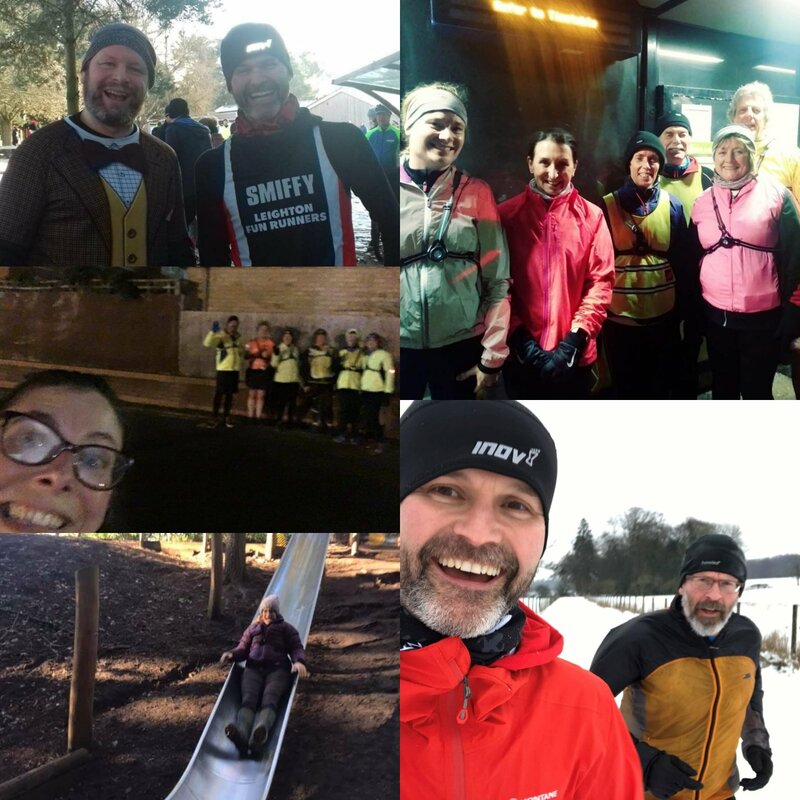 There were plenty of snowy adventures over the week and weekend: James and his Bearded Buddy were like big kids in the snow; the LFR ladies incorporated parkrun in their long run; the two Pauls, the two Marks and Verity made their way for 13 miles around Wendover woods – they even had time to build a snowman; JK, Fiona, Caroline, Christine, Stephen and David all had a social run around Rushmere (with some continuing to get their long runs in); and there were some massive distances put in over the weekend with marathon and half marathon training in full swing. Excellent running, everyone. Some events were not cancelled due to the ice. Gill made her way to London for the Cancer Research 10K Winter Run and had a superb race, beating her time from last year by four minutes! Ian was flying solo with a fantastic effort at the Grizedale Trail Marathon in the Lake District: -4 degrees. 1312m elevation. Brilliant running! Earlier in the week we had our usual club runs – a shout out to Clare who is taking part in the coaches’ 5-10K course in training for her first 10K (at LFR’s own Leighton 10K, obviously). She ran her furthest ever distance so far! Keep going, Clare! All those members not down to volunteer, why not join her at our 10K – we are open for LFR entries…! Enter now here: Leighton 10K ! Stay safe. Happy running, LFR!